Following ongoing negotiations between Tirana and Brussels, the special law for the construction of the new National Theater has been approved by the European Commission. 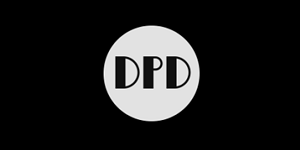 This is confirmed through a letter addressed to the Albanian government by the Head of Unit for Albania and Bosnia and Herzegovina in the Directorate General for European Neighborhood Policy and Enlargement Negotiations, Michela Matuella to the Secretary General of the Council of Ministers, Engjëll Agaçi. 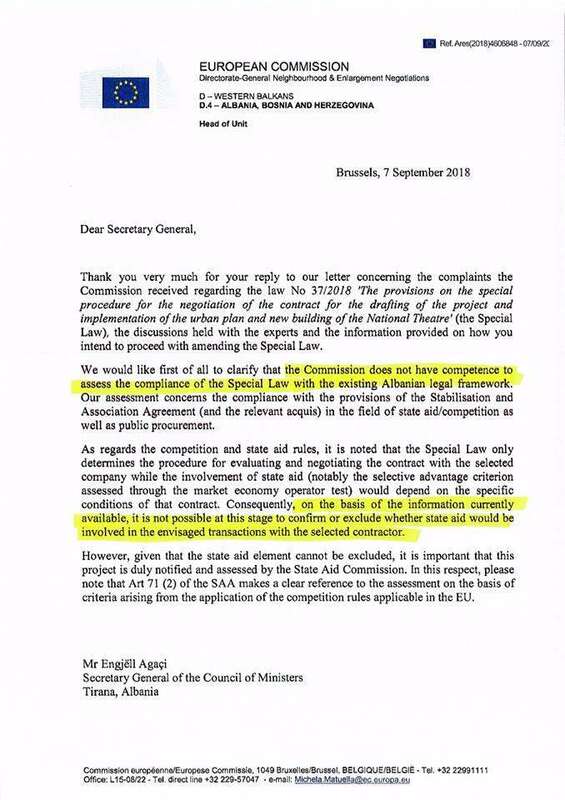 “The Commission does not have competence to assess the compliance of the Special Law with the existing legal framework…but on the basis of the information currently available, it is not possible at this stage to confirm or exclude whether state aid would be involved in the envisaged transactions with the selected contractor”. The European Commission says it supports the Albanian government’s commitment to change the draft so that the project guarantees competition between companies. 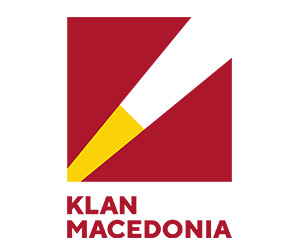 “The article 74 (3) of the SAA refers to granting equal access to Community companies to contract award procedures in Albania pursuant to the Albanian Law on Public Procurement and not the EU acquis. 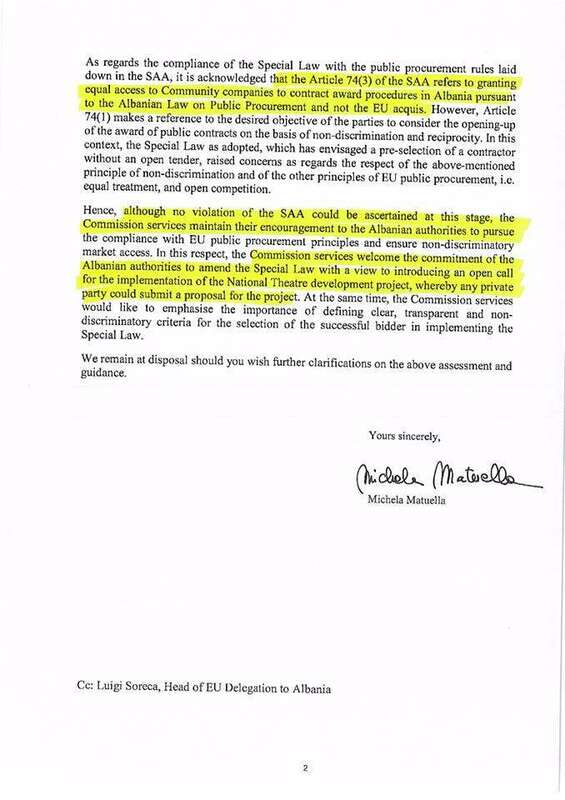 Although no violation of the SAA could be ascertained at this stage, the Commission services maintain their encouragement to the Albanian authorities to pursue the compliance with EU public procurement principles and ensure non-discriminatory market access. 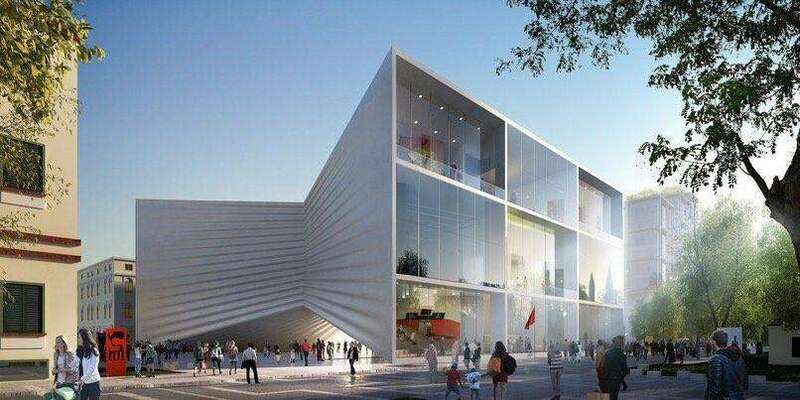 In this respect, the Commission services welcome the commitment of the Albanian authorities to amend the Special Law with a view to introducing an open call for the implementation of the National Theater development project, whereby any private party could submit a proposal for the project”. Following this declaration from the European Union, the Mayor Veliaj reacted optimistically for the realization of the new project. While the Democratic Party says the EU concludes that the law has violated European public procurement legislation, as it avoids open competition.